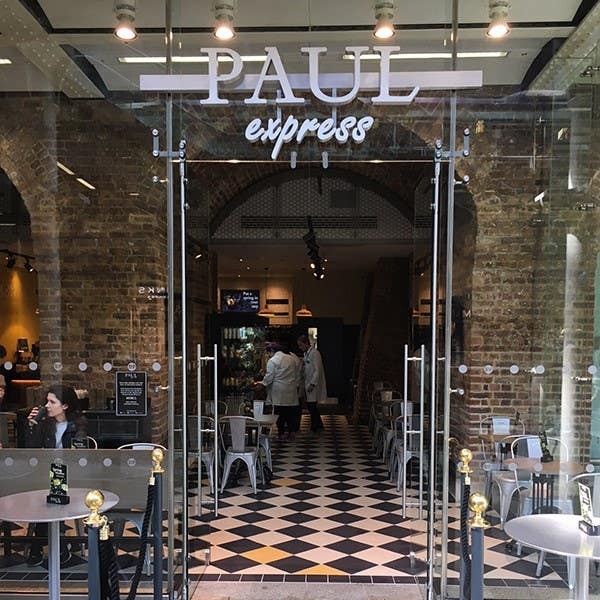 Our express-service PAUL branch at St. Pancras Station can be found opposite the exit from the Eurostar platforms. It’s the perfect place to grab breakfast or lunch on the go, or to pause for coffee, tea, hot chocolate or a cold drink and a sweet or savoury treat before continuing your journey. 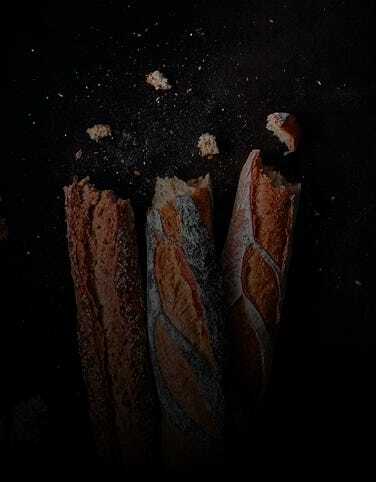 We offer a mouth-watering selection of our freshly baked artisan sandwiches, pure butter pastries, individual tartlets, quiches, soups and drinks, to eat in or take away. Nearby are the British Library, Central St. Martins School of Art & Design and Great Ormond Street Children’s Hospital. The magnificent arched roof over the St. Pancras Eurostar tracks is one of the wonders of Victorian engineering. It was designed by William Henry Barlow and first opened in 1868, at which time it was the largest structure of its kind in the world. 139 years later in November 2007, Barlow was portrayed by actor Timothy West in a grand re-opening ceremony celebrating the transfer of the Eurostar terminal from Waterloo to its new home on the Euston Road. Now hailed as one of the finest stations in the UK, thank goodness for the late, great Poet Laureate Sir John Betjeman who, in the 1960s, led the furious resistance to plans to demolish the station and the splendid adjacent hotel. You can find his statue on the upper level, gazing up at Barlow’s remarkable iron and glass roof, now restored to all its former glory. Our bakery is on the redesigned lower level of the station, formerly the undercroft of the main station, used for storing the beer that arrived on freight trains. The brick arches for the beer barrel storage are still very much in evidence. Passengers departing from St. Pancras International can now travel to Lille, Paris, EuroDisney, Brussels, Rotterdam, Amsterdam and, seasonally, to the alps to ski or to Marseilles to enjoy the summer sun. Perhaps, one day, it will be possible to travel directly from here to Rome, the home of the original 4th century Christian boy martyr after whom the station is named! Closest stations: St. Pancras International (Eurostar), London St. Pancras (National Rail) Kings Cross St. Pancras (Victoria Line, Piccadilly Line, Hammersmith & City/Circle Lines, Metropolitan Line, Northern Line). 46 seats are available. Disabled access available. Free Wifi.